I try my best to be mad at the beast, but fail. We learn that Muirfield was an equal opportunities evil corporation and that English dudes shouldn't take their children to magic stores and then send them to war. Most importantly, we learn that humidity shouldn't stop you from following your baffling promising career. Another episode full of life lessons. The episode opens with Cat trying to literally cover up the remnants of the beast attack. Shortly after, Heather shows up to tell her she got a job at one of the “top PR companies in the country” and… Heather got that job based on what exactly? Her brief experience as an event planner? As I recall she ditched her last “event” and someone ended up being murdered! But let’s give Heather the benefit of the doubt. Perhaps she’s become a true career woman in the last few months. Hey, Cat had time to mourn her father, find her missing boyfriend, redecorate her apartment and go car shopping… so Why not? Anyway, the catch of the job is that it is in Ravenswood Miami and Heather would have to move there. Heather is also trying to find a way to tell her sister that her dad wasn’t her dad, but Cat is too busy making lame excuses for her neck bruise to notice. BACK AT THE GENTLEMEN’S CLUB, JT is working out. He may not be able to do pull ups [or pull chairs] like V, but he is killing it with the jumping rope. Vincent walks in on him and immediately asks about Catherine. 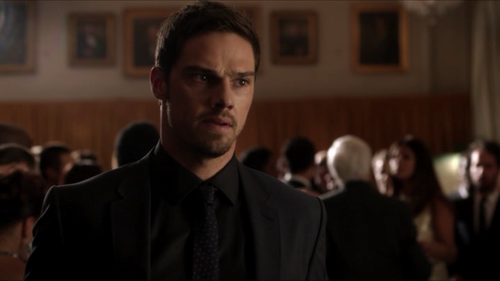 JT obviously is clueless about the beast attack and assumes Vincent feels sorry for not remembering her. 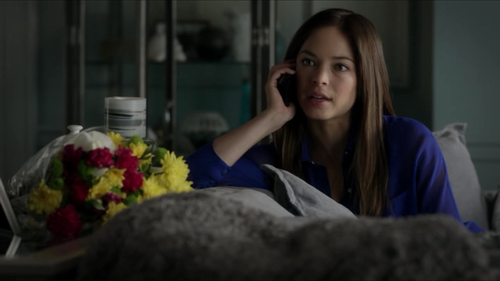 So he gives him the “Vincat’s epic romance” Cliff’s notes: Dad’s wedding, hotel pool, etc. Finally Vincent confesses what he did and asks JT to tell Cat he is sorry and it will NEVER happen again. And he REALLY looks remorseful. It’s actually quite sad. I know Cat had EVERY REASON to be mad at him, but I found myself siding more with V during this episode [not saying it was the normal/right reaction… but it’s what happened]. Vincent gets a call from Daddy Bob’s FBI-lackey who apparently has a name => AGENT TUCKER… but no reason to learn it now… He is calling Vincent because he found another target (AKA the BEAST OF THE WEEK). Unfortunately, Agent Tucker wasn't discreet enough while beast hunting because the beast of the week realized he was on to him… and let’s just say he didn't take it well. R.I.P Agent Tucker… you were not an interesting character at all [and you weren't on Rookie Blue]. 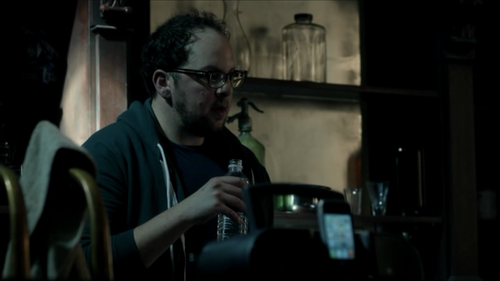 Cat meets Gabe at the COFFEE SHOP OF GIRL TALK AND BEAST CONFESSIONS. Cat is dangerously close to acting as a woman who has been a victim of domestic violence and is in denial about it; but I do believe her situation is something else entirely. Still… it is a very touchy subject; however, I choose to see this more in the “sci-fi” context [strenuous DNA-altering circumstances] and not take it as a literal case of abuse. And I make this distinction because, under normal circumstances, I would never condone any type of physical aggression towards women. Serious parenthesis over, back to the episode. Cat starts by justifying V’s behaviour, saying he is a victim himself [TRUE]. Then she starts justifying herself by saying that she wants to stop Vincent, but it is not about saving his soul anymore, it’s about protecting the public of NY or something [NOT TRUE]. Cat tells Gabe about her plan to sneak into V’s houseboat and figure out who is pulling his beastly strings. She also tells Gabe she slept with Vincent [not sure if that was 100% relevant to the plan]. I think this was just Cat’s way to avoid admitting she wanted to see Vincent and talk to him. 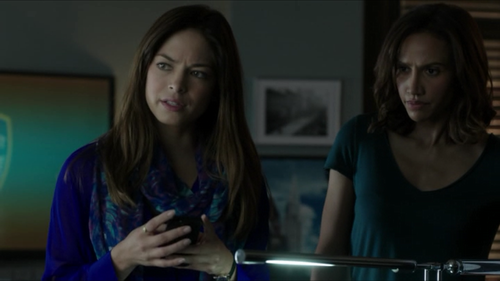 Their planning session is interrupted by a phone call from Tess to tell them about Agent Tucker’s murder by beast. Gabe and Cat meet with Tess at the PARKING LOT OF UNIMPORTANT CHARACTERS’ DEATHS. Cat is all “my boyfriend doesn’t kill FBI agents… he may hit female cops on occasion, but he definitely didn’t mean it… oh and my love life has nothing to do with this I AM PROTECTING THE CITIZENS OF NY!” Then Daddy Bob shows up and basically steals the body from the cops. No time to dwell on it though, because Cat gets a call from JT. He tries to tell her about Vincent’s apology by proxy, but Cat is just thrilled he inadvertently alibied V out. So… No FBI-agents-murdering. Good Beast. TESS VARGAS’S “HOW TO CHEAT A POLYGRAPH 101”. They did this so much better on The Americans [that scene inside the KGB was full of tension] and on Alias [where it was full of sexual tension]. But let’s take a look at Tess’s approach now: 1) Block sweat glands by wearing antiperspirant [that was a wasted Lady Speed Stick sponsorship opportunity] 2) put a tack inside your shoe. Press it when telling the truth to establish a base line higher than normal. Now… I get how this would work on an actual polygraph… but it’s not like V is an ACTUAL polygraph. I think he would notice her heart rate is more elevated than usual, period. But whatever… you know how on episode 1 I complained most scenes were too short? I think this episode might have the opposite issue! Some scenes were unnecessarily long! Like this one [and the coffee shop scene]. Anyway… Turns out Agent Tucker managed to get a message to Vincent before dying “Friday at 5…” Pre-death messages are always so cryptic and incomplete! In order to decipher the message, Vincent decides to go to the scene of the crime where he finds the Beast of the Week…. While Vincent is snooping at the parking lot, Sebastian calls him and starts trying to be a philosophical psycho like Hannibal I guess, but it’s really not working out for him. V is all “I don’t play games” and Sebastian is all “It’s not a game, it’s 'Magic'” WHAT.THE.HELL.WAS.THAT. ABOUT? So… MAGICAL BEAST starts running in circles, talking complete B.S. and trying to get in V’s head. Surprisingly, his mind games sort of work… especially when he points out that if there is a “Beast Blacklist”, V is most certainly on it too and Daddy Bob is going to go all Reddington on his a** eventually. That actually made sense, magical beast. Later, JT decrypts the file Cat stole. All he gets is a bunch of art gallery names and the same “Friday at 5…” incomplete message. In the meantime, Vincent is getting flowers for his date with Cat. Again AW… [damn it woman, get it together, he DID something really bad… stop swooning over him!] I snap back to reality as Vincent gets a call from DADDY BOB. He asks a description of the beast of the week. Vincent tells him about his Britishness, his pseudo-philosopher attitude and his magical claims. Bob correctly identifies him as Sebastian Clifton: The son of Art Gallery owner Nigel Clifton and former M experiment. Could his back story be more on the nose? Then Vincent goes into some unnecessary explanation about his beast hunting job in case you were not paying attention=> Beasts = bad, Daddy Bob has beast list, Vincent eliminates the beasts. But finally Vincent is thinking for himself [with the aid of Sebastian] and starts questioning where he stands on the beast blacklist? Daddy Bob tells him he is not on it… yeah, like we are gonna believe that! He also tells him there is a security breach and Vincent realizes Cat might be it. So, his love bubble kinda bursts… and yes, I felt bad for him. Cat meets with Heather who is making PROS and CONS lists about moving to Ravenswood Miami. The CONS being Cat and humidity [humidity is worth 10 cons in my book]. However, instead of talking about her own life altering decisions; Heather decides to drop the bomb that Daddy Chandler is not Cat’s bio dad. Cat gets VERY mad at Heather for not telling her. I get finding out something like this must be really shocking, but I also get why Heather would withhold the information. In any case, Cat is having a REALLY BAD DAY. I felt a little bad for Heather too. She is unaware of the storm in her sister’s life and she is probably picking up that something is seriously wrong but can’t do anything about it. After receiving the shocking news, Cat goes home. Vincent is there for their date, which Cat completely forgot. She is so emotional; she forgets about her plan and just starts talking to him about her awful day. Unfortunately, at this point, Vincent is on to her deception and he is not in the mood for being a supportive boyfriend. He is more focused on monitoring Cat’s vitals and figuring out if she is hiding something, which she is. He doesn’t react to Cat’s confession about her dad and just leaves. I felt really bad for both of them. Cat seemed touched by the flowers and I think she was ready to give him another shot for real, especially because she was very vulnerable and needed him. Vincent was probably hoping he was wrong and was going to discover Cat was not lying, but she was… and when he realizes his suspicions are correct he looks dejected and leaves. Aw… for both. Vincent goes back to his BEAST-SHIP and finds further proof that Cat stole his files. Meanwhile, Cat tells Tess that Vincent is probably on to her. She feels awful after witnessing Vincent’s defeated look when he realized she had been playing him. Cat just wants to quit the plan, but Tess reminds her that they are doing it for the PUBLIC. Cat is all “yeah, that was a lie” and Tess is all “You know? The public actually exists… and our job description is to sort of to serve and protect it”. So Cat agrees to go back “undercover”. Right then, Vincent calls her and it is his turn to play her. He uses JT’s info about their relationship and pretends to remember the hotel pool. He tells Cat to meet him there, probably to keep her away. Now, that was NOT COOL. 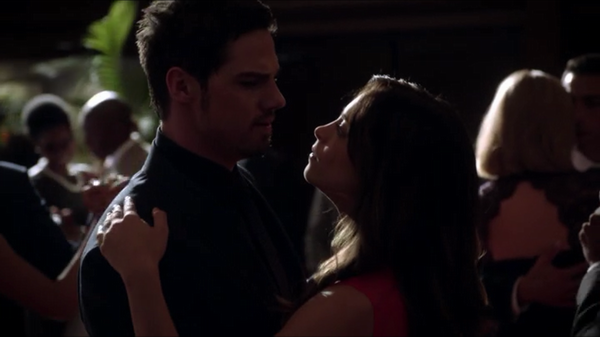 Little did he know, JT had told Cat about the Vincat cliff’s notes, so Cat sees right through his scheme. Sad part is… for a second, before she realized he was lying, Cat was really happy. Aw… They are just making me SAD. They really don’t know how to do this cheating/scheming couple thing… they should watch an episode of Gossip Girl and take some notes from Chuck & Blair [who actually made it hot]. Cat knows that Vincent is trying to keep her from “something”, so she finds out exactly what using the WONDERFUL MAGIC OF THE INTERNET. And seriously… if the “Friday at 5” thingie was something you could find on freaking Google, why didn’t anyone do it SOONER? Anyway it is time for another EXPOSITION SCENE. However, this time; Cat, Gabe and Tess pretend they are on an Aaron Sorkin show and at least WALK while they load us with exposition. We learn that 1) Friday at 5 was a painting Sebastian’s dad commissioned [SHOCK OF THE EPISODE…OK not really] and 2) M didn’t discriminate based on nationality. Good for them! As soon as they arrive at the GALLERY OF BEAST ENCOUNTERS OF THE CHEAP MAGICAL KIND, Cat spots Vincent and approaches him. She is all “Ha! Gotcha. I am smarter than you”; but he actually looks more pained and concerned. And once again, I felt worse for him than I did for Cat. I think she had been dealing with the pain for so long; she was just trying to ignore it and execute her plan to “protect the public”. On the other hand, it’s like Vincent was discovering pain and betrayal for the first time. So, I think it’s fair to say he was having a harder time at that moment. Anyway, Cat tells Vincent they should continue their conversation interrogation on the dance floor… Why exactly? Not sure. Other than getting him to touch her, I don’t see the point for them to be dancing. But not complaining… it was definitely hot… but not very logic… Also… why did they keep pre-announcing all their dance moves [“spin me” “dip”]? 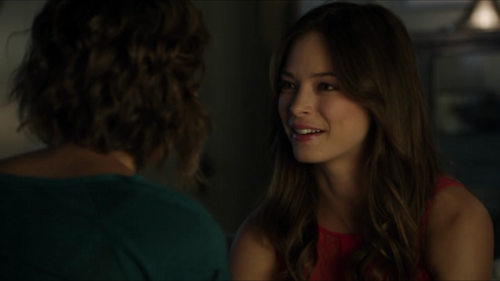 In summary, Cat tries to get V to tell her about Sebastian… but she already knows about him so… [I hate to say it but, other than having a fair amount of sizzle, this scene was pretty useless]. Vincent finally snaps and accuses Cat of using him [which she sort of did… with good-ish intentions, but still] and seeking revenge. He believes she is punishing him for what he did, which just shows he doesn’t know Cat at all and this hurts her. She gives him [a much deserved] earful about how she always puts him first and that everything she has ever done was to protect him. That she only wanted to learn the truth so she could set him free and they could be together; which is the honest truth even though she is saying it out loud for the first time. Vincent notices the sincerity of her words and realizes how badly he screwed up when he lied to her about the “memory”. After facing her true feelings, Cat lets go of her menacing façade and just walks away. At that point, MAGICAL BEAST shows up and starts blabbing about making “Cat disappear” or some lame magic analogy of the kind. I seriously hate this beast [the character not the actor]! Not even his good looks and accent can make up for his awful lines [and bad timing]. While I am being annoyed by badly written dialogue, Tess is having a conversation with Daddy Clifton. He explains the painting “Friday at 5” was a tribute to his son because they used to go to the magic store every Friday at 5. THANK YOU! 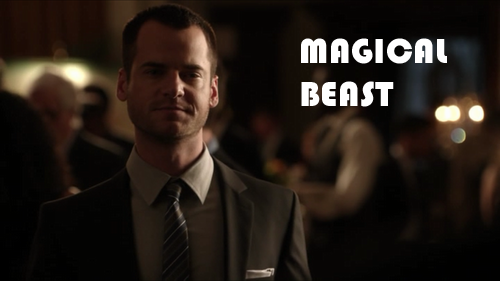 At least they came up with some sort of [lame] explanation for MAGICAL BEAST’S obsession with magic. Daddy Clifton strikes me like a reasonably good dad… if you don’t take the “sending your kid to war” part into account. I am not sure I buy Sebastian’s vendetta against him. In any case, the new conclusion is that Sebastian is at the art gallery to “come back from the dead” and kill his father. You know, it would be like… well MAGIC [agrr]. Vincent tries to get Daddy-Clifton away by telling him he is GOING TO DIE, but that doesn’t do the trick. So Cat tries a different approach and tells him she KILLED HIS PAINTING in the elevator. So Daddy-Clifton runs to the aid of his art piece. Cat tells Vincent to keep Sebastian away while Tess and Gabe evacuate the guests. While Vincent bumps his way to find SEBASTIAN THE MAGICAL BEAST, Cat has a riveting [read awkward and boring] conversation about wine stains with Daddy-Clifton inside the elevator. After Cat wastes a few minutes undercover as a careless wino, she comes out as a cop and tells Clifton Sr. his life is in danger. And you know? After two different people tell you that, I think you should start taking them seriously. Meanwhile, Sebastian knocks out Vincent with a grandiloquent speech and a chair [seriously no beast fight or anything, just a chair]. I think it was the speech that did it… I sure as hell felt like banging my head on the floor by then. So after the EASIEST BEAST KNOCK-OUT EVER, Sebastian goes to the elevator where Cat tranqs Mr. Clifton before he sees his PRODIGAL SON-BEAST. I kinda wanted to see the father/son reunion… might have made stupid magical beast something close to an interesting character… or maybe not. Anyway, Sebastian breaks the roof of the elevator. Cat points her gun at him and says the ONE truly funny line in the entire ep: “Hi Sebastian, I thought I had daddy issues”. Well… Sebastian’s dad may have sent him to war where he was given for dead and turned into a beast… but Cat’s dad stole her boyfriend, brainwashed him and turned him into a mercenary terminator beast. I think Cat still has this one. Cat goes back to her apartment where poor Heather is guilt-ridden and willing to give up her [baffling] promising career in PR. Cat concludes that she has been a hypocrite… which is kind of true. If you think about it… she’s been keeping A LOT from Heather, and no small lies either. Like the fact that their mom was a beast making doctor, that she is love with one of the beasts, that the aforementioned beast accidentally killed Heather’s boyfriend, etc etc. So Heather concludes that lying to someone close to you changes your entire relationship. Even if the intentions are good, it damages the relationship and it is not worth it. Man… that was one TIMELY philosophical moment Heather just had. And I agree with her. One of the things I LOVED about Vincat in S1 is that they defied the annoying relationship cliché where couples DON’T TELL each other stuff and end up fighting for lack of information even though they are “lying because they care”. Now, I appreciate that even though Vincent and Catherine “lied” to each other, they didn’t fall into the simplistic cliché either. They had their reasons and they were in a very complicated and unfortunate situation. I can’t say one or the other acted wrong or in a way I can’t comprehend. I could relate with both and I understood their motivations throughout the ep. I may have complaints about the writing of this ep, but I thought the characters were where they were supposed to be. In the end, Cat convinces Heather to move and take the job in Ravenswood Miami. In the meantime, at the PRECINCT, Gabe and Tess are having yet another USELESS EXPOSITION SCENE. We learn that Daddy Clifton never had a “beast awakening”, and Sebastian went from KIA to FBI-killer. All of which WE ALREADY KNEW. Are we going to get any new information out of this scene? Oh yeah, Gabe has a crush on Cat. Wait? What? When did this happen? Do women pining over other men turn him on? I guess they do. Cat is at her apartment with her window CLOSED. And we know she only does that when she IS REALLY MAD AND HURT. She sees Vincent sitting outside and opens the window. She asks if the “fire escape” was part of JT’s ABRIDGED VINCAT LOVE STORY BIBLE. Vincent claims he remembered it. At this point, all of Cat’s defences are up. It is particularly sad because at the same time, V 2.0’s supersoldier façade is completing melting away. He apologizes for lying to her and he explains that he couldn’t trust her because he didn’t remember her. And you know what? HE IS ABSOLUTELY RIGHT! If you think about it… up until this point; from Vincent’s POV, Cat wasn’t more than a pretty girl with an amazing story. With everything done to him, you can’t blame the guy for not trusting easily. Of course none of that was Cat’s fault, so I don’t blame her for being upset either. She had sacrificed so much for this man, only to be deceived and have her heart broken [again]. It’s an impossible situation and I can’t pick a side… which I think it is a really great feeling because I usually side with one character or another, but this makes it richer for me. Cat finally draws the line and tells him that it’s not just about the lies they told each other over the last few days. It’s about the fact that he isn’t willing to tell her anything about who he is and what he does. I am glad she said it. Cat is not the type of woman who would put up with a situation like that. Vincent is not ready to share everything just yet but, ironically, after pushing Cat away for so long he doesn’t want to do it anymore. Now… that’s new. I guess V 2.0 doesn’t have the martyr “you are better off away from me” complex of V 1.0; which is good because it started getting annoying at one point. Cat draws the line and tells him that she cannot be in a relationship based on lies. 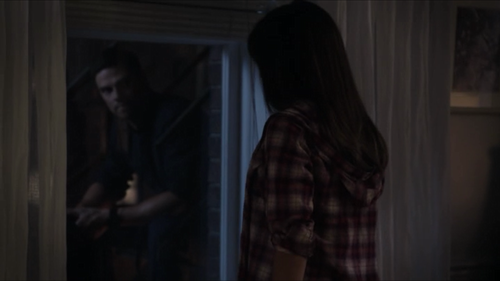 And she closes the window on him… which is probably really hard for her to do as well… and for us to watch! END OF EPISODE. I am not crazy about this episode for a lot of reasons that don’t necessarily involve Vincent and Catherine’s relationship. I am actually OK for the most part with that. I think Cat needed to regain her confidence and stand her ground. At the same time, Vincent needed to feel the pain of losing her after starting to remember what she means to. I am OK with all that. The reason I did not like the episode is that I thought it wasn’t very well written. The dialogue was really bad in a lot of places [“It’s magic”? ], there was way TOO MUCH exposition plus repetitive and purposeless scenes that could have been completely cut out. There were still some really good moments, but not as many as we are used to having. Acting was great as usual, which I think elevated the not so stellar script. Gabe: Your partner wants to go undercover, pretend she is his girlfriend even though she IS his girlfriend, even though he doesn’t remember that! Gabe: What are we gonna do if a beast brawl breaks out? Improvise? Cat: I thought I had Daddy issues. writing was poor and the baddie was just ridiculous. Terrific review as always! Thank the beastie gods for you, Alex! You are making revisiting a very difficult (for me) S2 bearable. And, you are so funny. I howled over the Aaron Sorkin reference! This episode was so sad, really and it begins the awful "Gabe crushing on Cat" and we know where that will lead - *shudder* . Oh and thank you! I just learned a new word today - grandiloquent! Take care and look forward to next week's review. I find the scene where Vincent tells JT that he hit Cath exactly what is needed after an abusive situation. The abuser has to show that he understands the situation, refrain from rationalizations and show that he will not impose himself anymore on the victim. Vincent makes sure if she is alright and wants JT to assure her that he will never see her again. It is not even about making amends, he just regrets it deeply what he did, is concerned for her well-being and makes a decision to bow out completely. JT finds it a bit excessive and even wonders if that is really what Cath will want. Then it turns out that Cath is hypocrite enough (her own words) to pretend she wants to discuss their relationship. Now it is Vincent who is being manipulated and hurt in his feelings. By this time in the episode I started feeling that they both had abused each other in different ways. 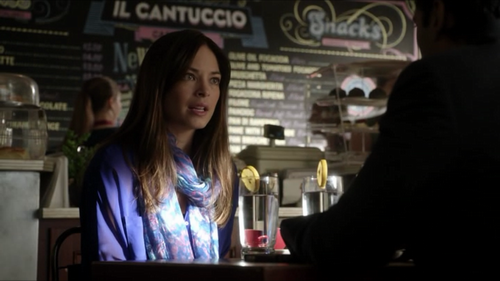 Both Jay Ryan and Kristin Kreuk make these scenes deeply emotional and I felt they made it clear what their conflicting emotions were. Ditto, ditto! 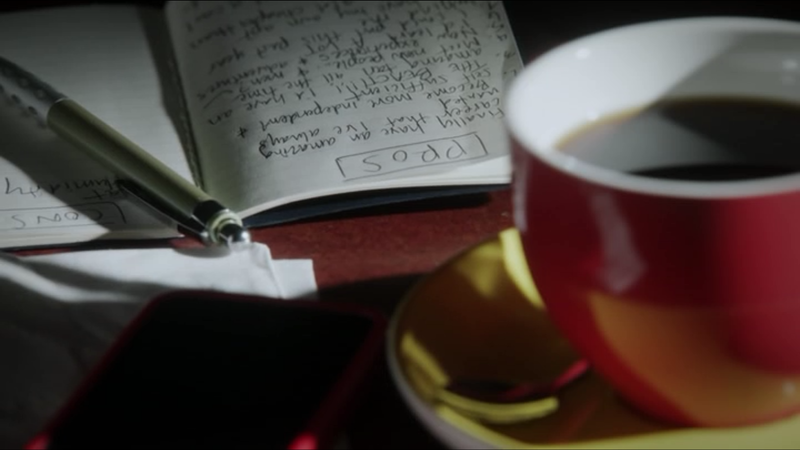 That I said before the problem with this episode (and the show) is the lack of work of writers. Have a good general line but then fails the development and preparation of scenes, dialogues, lastly in detail. Lack of work, maybe due to the lack of time?